Well, I'm off to Seattle this afternoon. I have my posts for the next few days set up for automatic, so hopefully they'll show up when they're supposed to. Just don't feel bad if I don't comment back as quickly as usual, 'cause I'm in Seattle coloring my fingers off!! Alright!! Copic Markers come in 4 different body styles. Most people work with the main three, Copic, Sketch, or Ciao. Wide markers are fun for backgrounds and special effects (like last Thursday's post). If you don't already know, each marker style has very different qualities, though they all share some common traits. Just to confuse you, Copic is the brand name (pronounced with a long o, like Oh! Pick more colors!). 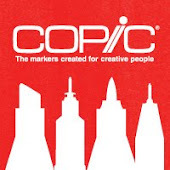 Copic is also a style of marker (the square-shaped marker). When I'm talking about any of our marker types I'll try to say Copic Markers, but when I'm comparing the individual styles I usually say Sketch, Copic, Ciao or Wide. You may have noticed that I haven't yet compared the 3 main Copic Marker types yet, nor do I usually tell you which type I use. Mostly, this is because the color is more important to me than the marker style. Second, I have a mix of all marker types on my desk so I use a mix of body styles when I color. It's annoying enough listing which colors I used, let alone which style I chose. Unless the body style is important to the specific technique I'm sharing then I don't usually pay attention to anything but the color. • All Copic Markers have the same ink. A B32 in Copic is the same color as a B32 in Sketch or Wide. These are computer-mixed inks. They have not changed in 20 some years, and they never will change. If you have a marker that's 15 yrs. old and you go to refill it, it will be the exact same color. • All Copic Marker ink is alcohol based dye. It is low-odor and it doesn't cause paper to "pill" when you layer it many times in the same spot. This dye is permanent on many surfaces making it a great choice for mixed-media. Also, we say alcohol, but it really is ethanol, hence the low-odor. What is important to me when I color? 1. Do I color a lot or a little? If you only color every now and then and you just want a high quality marker for those rare occasions, think Ciao. If you will be coloring all the time, pick Copic or Sketch (these will last longer before needing to be refilled). 2. Do I have to have every color exactly perfect, or is close good enough? If you need EXACT colors think Sketch, since it has the most colors, 322. Copic has 216, but both Copic and Sketch have empty markers so you could always fill your own colors and make custom as well. If you're not too picky, go with Ciao, since they have only 144 colors and no empties. 3. Do I like a firm tip to color with or do I want the really flexible brush? The Copic comes standard with a nice firm, fine point for coloring. This is great for details, but you would have to buy an optional brush for the other side if you also like the brush, then the airbrushing capability would get messed up. Copic markers are versatile and have a total of 9 different tips so you could turn these into a calligraphy marker, a super-fine pointed marker, or give it a nice round end. If you know you like the flexible brush (which takes some getting used to) then go for the Sketch or Ciao. They do have one optional Med. Round nib, but it's not as fine as the Copic nibs. This question is really hard to answer unless you get a chance to play with each style before you buy. 4. Do I think I will ever airbrush? No, you may want Ciao. Yes, go for Sketch or Copic. 5. How much airbrushing will I do? If you don't think you'll be doing anything but airbrushing you may want Copics, since they hold the most ink to start with. If you want two different airbrush effects from one marker then go for Sketch, though it will have to be refilled sooner than the Copic. 6. Do I care about needing to refill right away? If you don't mind refilling sooner, then go for Ciao. If refilling sounds like a pain and you want to go longer before buying your inks, think Sketch or Copic (Copic holds even more ink than Sketch to begin with). 7. How much am I willing to spend on a marker? Ciao generally run $2 less per marker than the other styles, but they'll need to be refilled sooner and you can't airbrush. Sketch and Copic are a little more expensive up front. Refill inks sell for about $6.95 US, but one refill will fill a Sketch or Copic marker about 10 times, and a Ciao marker about 15 times. Work out the math and you'll see that refills are really inexpensive over the long run. Over the next 2 weeks I will highlight each marker type individually, so compare carefully before you make a commitment (I have met people who bought one of each body style in the same color because they used them for different things). Meanwhile, I'm heading up to the fun city of Seattle- I can't wait to meet the great stampers up there! Nice write up. I had no idea of their differences. And you're right, if I had to choose you telling us the type of marker over the color number, I will always choose the color number you used. Thank you for that! I have a mixture of sketch and ciao. What I would love is for the ciao to have the color numbers on the ends. Do you know why they do not have this? Or if they will ever offer this? Do you ever think they will come up with an airbrush system for the Ciao? Or is there a way you can use them with some sort of adapter with the current airbrush system? I have the Ciao and airbrush with them. All I do is put a foam square onto the marker to raise it up. Works fine! I'm excited to meet you, too, Marianne. It will be great to be able to see and play with all the different types of markers before making my choices. See you on Thursday in Seattle! Marianne! Have a great time in Seattle. The tips and information you are sharing is great! THANK YOU!! Great post today. I totally agree with thinking very carefully before choosing a type of marker. I started with the Ciaos and now much prefer the Sketch. I'm seriously contemplating selling my set of Ciaos to get Sketch markers instead!! I am just starting out in Austalia. Is any one able to give a run down o what to start out with? I am looking at colouring in stamps for cards. Marianne, your blog is so informative! Wonderful. I enjoy reading your posts and waiting to enjoy my markers along with your tips. hi! 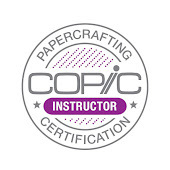 do you have a list of where you will be teaching certification? 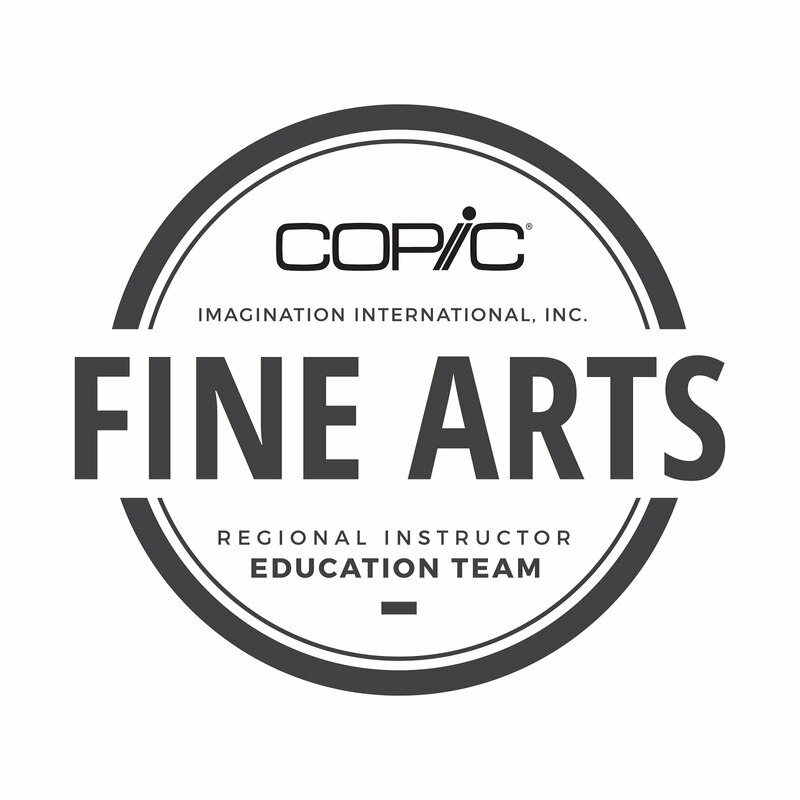 i teach via my online store and live just outside the DC metro area and would love to become certified! I'm a newbie when it comes to Copics but not when it comes to paper crafting, I have been away from my craft for so long that I could be a "newbie" by default! I primarily make greeting cards with rubber stamps and embellishments. As I said, it has been a very long time since I have played with my toys. So long, in fact that many of my ink pads are dry. Rather than rush out and replace them I am considering a switch to markers. I want something refillable that will make my inking options more versatile. Brush and wide tips will work nicely for inking up some rubber but I want a finer tip for detail work, thus I'm considering the dual tipped version since it eliminates the need to purchase two markers with different tips in the same color. You state that ALL Copics are refillable and I ask why this information isn't in the item description anywhere? I have no interest in the airbrush system but am very interested in the markers. I want to be able to use them to ink my stamps as well as color in images as I am moved to do so.